There are over 8,000 reported structure fires each year from eating and drinking establishments alone. From those fires there’s an average of three deaths, 100 people injured and approximately $229 million in property damage, according to the U.S. Fire Administration (USFA) and the National Fire Incident Reporting System (NFIRS). Our team at Facilitec West can help keep your establishment from being part of these tragic fire statistics. 3) Trained employees with a mastery of kitchen exhaust cleaning. How Does Hood Cleaning Work? The Facilitec hood cleaning process keeps your kitchen safe and compliant by removing the food and grease residue that can cause exhaust hood fires. Hand scrape the exhaust system. Apply the industry’s best cleaning solutions. Repeat the process as needed until the hood is completely clean, safe and compliant. When we clean your kitchen exhaust system, you will have peace of mind knowing that we ensure your system is in compliance with industry standards and regulations. Our team is trained on the latest regulations requirements, so you never have to worry about passing inspections. Your exhaust system will be at its peak for fire safety. Better energy savings, with a system running at its peak performance. Less smoke and odors in the kitchen or facility. Less risk of food or product contamination. Reduce excess heat, making a cooler environment for employees. Facilitec West not only has an excellent reputation for our first-rate service, we are also Phil Ackland Certified. Our company is also a certified member – in excellent standing – with the International Kitchen Exhaust Cleaning Association. Combine that with our 24-hour availability to make your exhaust system safer than it has ever been before. 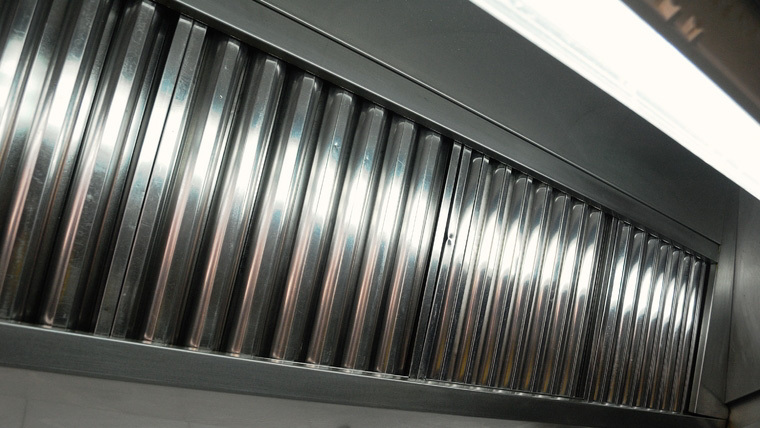 Call us today for a free on-site inspection of your entire kitchen exhaust system! We will provide consultation on what needs to be cleaned, as well as identify any items that need to be repaired. Call us today to schedule your appointment at 888.463.2293.